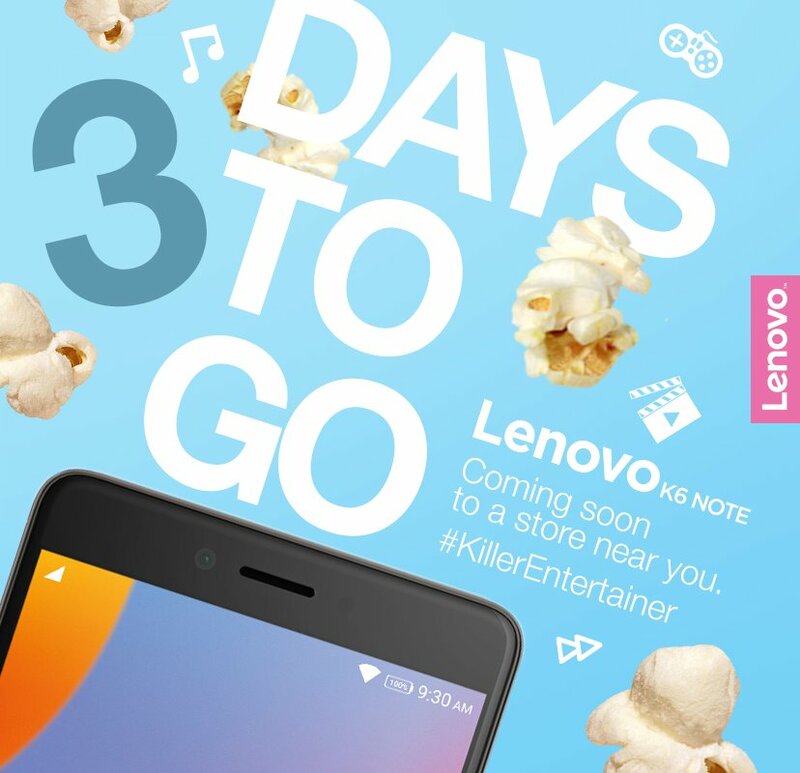 After launching the impressive K6 Power in the Indian market recently, Lenovo today announced that it will be launching the K6 Note phablet in the country this week. The manufacturer confirmed on its India Twitter page that the launch will take place on December 14th, i.e. this Wednesday. The K6 Note was unveiled in September this year at IFA 2016, along with the K6 and K6 Power smartphones. The Lenovo K6 Note features a 5.5-inch IPS display with 1080 x 1920 Full HD resolution, boasting of 401 pixels per inch pixel density and scratch-resistant glass on top. It is powered by the Qualcomm Snapdragon 430 octa-core chipset, which is clocked at 1.5 GHz and includes Adreno 505 graphics. The mid-range SoC is paired with either 3GB or 4GB of RAM, and 32GB of onboard storage. For India, it isn’t clear yet if Lenovo will be launching both the 3GB and 4GB RAM variants, or just a single variant. Both variants do include a microSD card slot, so the storage can be further expanded by up to 256GB. The rear camera on the K6 Note is a 16MP unit, which features phase detection autofocus technology and a dual-tone LED flash. Video recording resolution tops out at 1080p Full HD. On the front, the phablet is equipped with an 8MP unit for taking selfies and video calls. In the audio department, the K6 Note is identical to the K6 and K6 Power, with Dolby Atmos support and dual stereo speakers. The fingerprint scanner positioning is identical too, at the back. Another area where the K6 Note is similar to the K6 Power is battery capacity. The phablet comes with an identical 4000mAh capacity battery inside, with support for fast charging. Connectivity features include Wi-Fi 802.11 b/g/n, Bluetooth 4.2 Low Energy, GPS with A-GPS, FM Radio, USB OTG support, Micro USB 2.0, dual-SIM support, and 4G LTE. The phablet runs on Android 6.0 Marshmallow operating system, with the Lenovo Vibe UI layer on top. The metal-bodied smartphone is expected to be available in Silver, Gold, and Dark Grey color options at launch.